“Hong Kong was a traditional trading hub for gold in the past decades” Director General of the The People’s Bank of China Mr. Xie Duo, 2012. The CGSE is a gold exchange with the capability of settling the gold contract with physical delivery. Nevertheless, a contract must be done through the CGSE platform between members, according to the constitution of the CGSE. 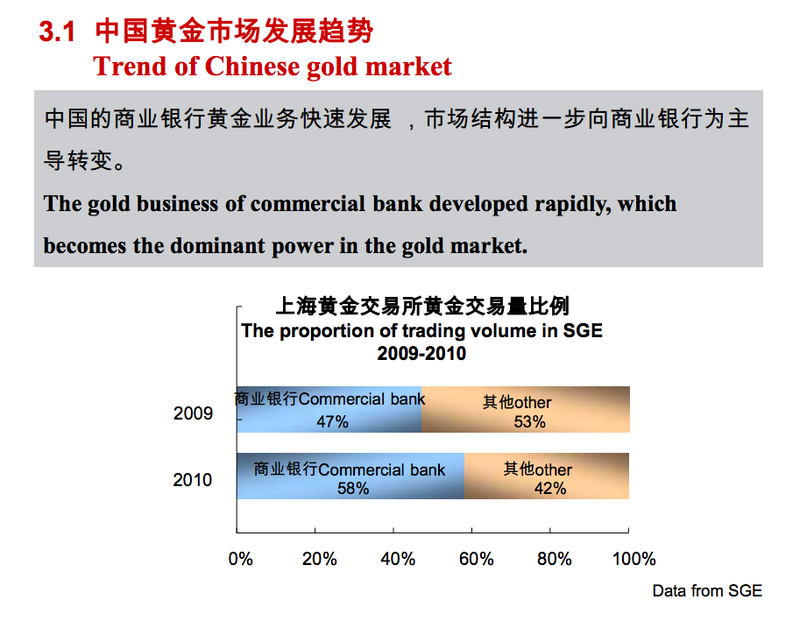 In the recent few years, the CGSE has developed more new gold and silver products, which can be settled with currencies other than HK dollars, e.g USD. Respective member of the CGSE can carry our business activities with their clients on a leverage arrangement according to market practice and credit of respective clients. 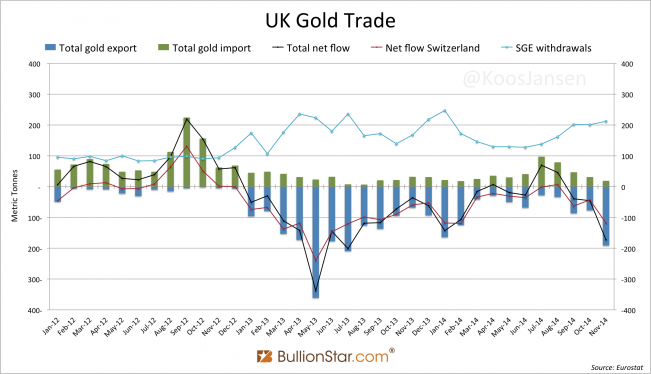 How much gold is traded on the international orientated CGSE is not published, we do have a few indications. The admittance of members is governed by the CGSE’s constitution. A company’s background is examined by the Members Review Committee on source of funds, asset size, experience in gold trade and experience of the management team. If approved the company is registered under the Hong Kong Company Ordinance. The CGSE is authorized to carry 192 members, presently they have 171. The members can trade on behave of their clients. 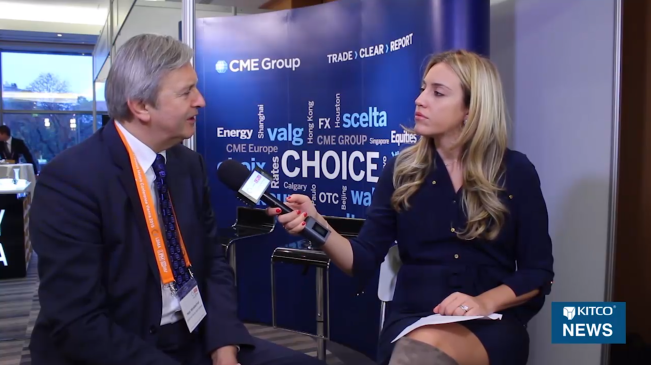 They have 11 accredited refineries of which Heraeus Limited recently got some attention in the gold community. 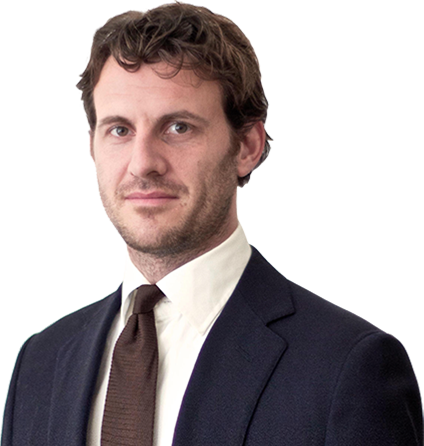 William Kaye, manager of Hong Kong based hedge fund the Pacific Alliance Group, holds close ties with Heraeus. 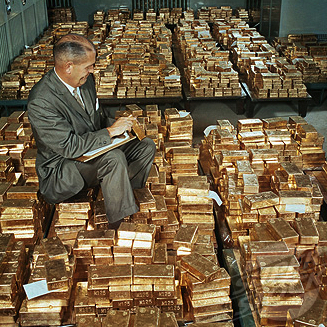 During an informal conversation they supposedly told him they melt gold bars from western central banks for the Asian Market. If true the CGSE could be a part of the supply chain. 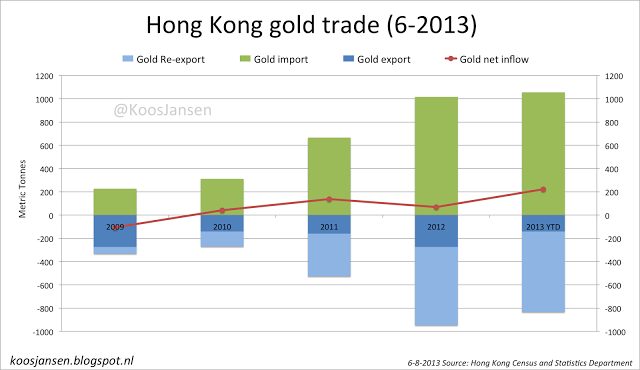 What we also know is that large amounts of precious metals are traded through Hong Kong. Year to date (2013 inc. June) total gold imports amounted for 1056t and total export (export + re-export) 834t, which left 222t inside the Special Administrative Region of the People’s Republic of China. It’s a gold rush. 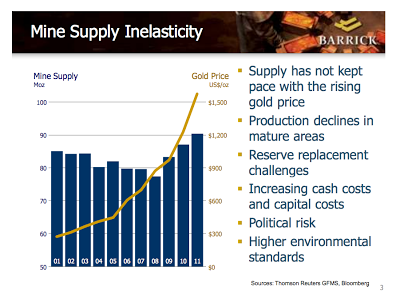 I Have been in the gold industry for over 30 years, this is the first time I have seen anything like this. Before we also had major corrections (he refers to the price drop in April), but then investors would wait, they would wait for a lower price. This time everybody starts rushing out, trying not to miss the opportunity. Kindly note that in Hong Kong External Merchandise Trade, re-exports of goods refer to products which have previously been imported into Hong Kong and which are re-exported without having undergone in Hong Kong a manufacturing process which has changed permanently the shape, nature, form or utility of the product. The CGSE has the ambition to become the leading silver hub in all of Asia and expand their trade with the rest of the world. November 11-13, 2013 the CGSE hosted the LBMA/LPPM precious metals conference in Hong Kong. Have a look at the long delegate list (which made me wonder why I wasn’t invited), present were people from bullion banks, mining companies, refineries, exchange’s and investment funds. Chairman Gornall, Chairman Smith, Mr Murray, Ladies and Gentlemen, good morning. I am honoured to be able to attend this annual meeting as a representative of the Shanghai Gold Exchange and to have entertained you during the welcome party last evening together with the Shanghai Futures Exchange. We are glad that we have the opportunity to receive you as a host of the gold industry in Hong Kong. The size of this year’s annual meeting and the number of participants are beyond our expectation; on the other hand, they also reflect the success and prosperity of this industry. Your cheerfulness and vigour remind me of the words of Shakespeare:“The golden age is before us, not behind us.” It is true that, as the global economy remains weak, the gold market is facing rare historic opportunities; however, ahead of all the opportunities and challenges, the issue of how to consolidate the existing achievements and gain a more extensive space for development has become an important topic for all the giants in the world gold industry. 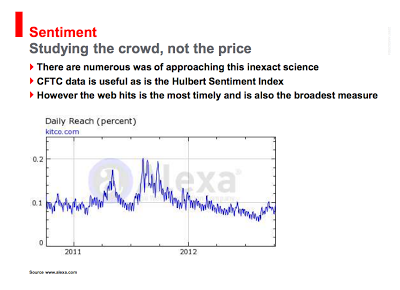 The third one is crowd sentiment. 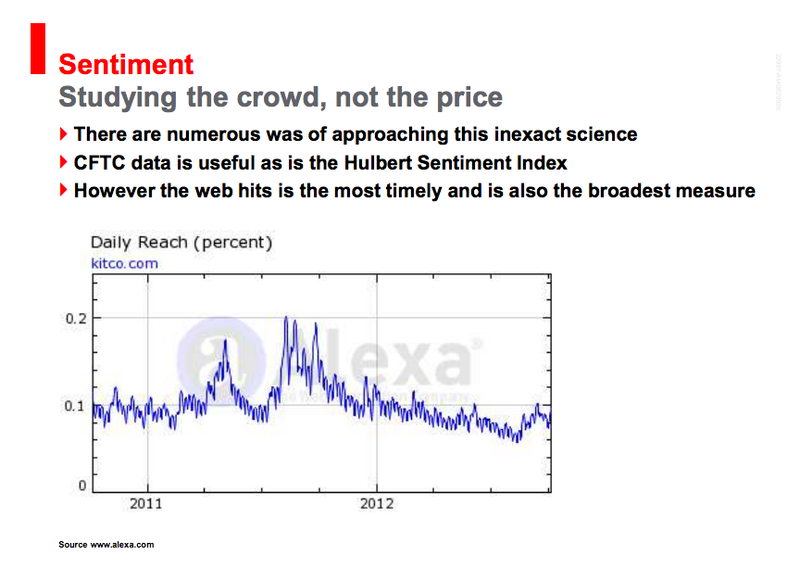 There are many ways of measuring sentiment. 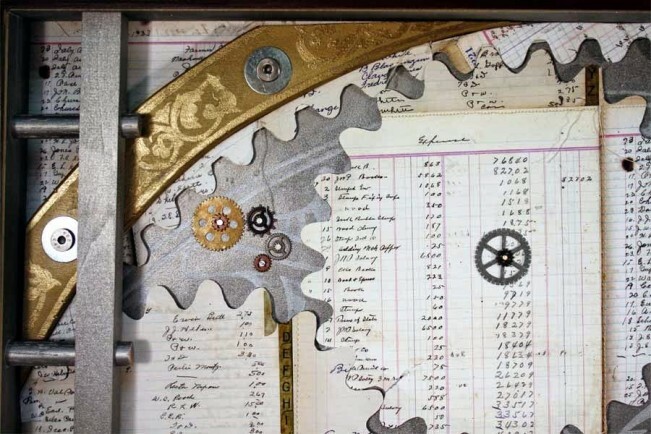 We all know the COT data, looking at the futures market and the hedge funds are taking all the gold from one corner of the vault, selling it to the other guy and putting it in the other corner of the vault; they create the volatility in the market. Of course, the COT data always coincides with the medium term highs and lows, so it is useful, but it totally ignores the secular trend, which is driven by the real money. 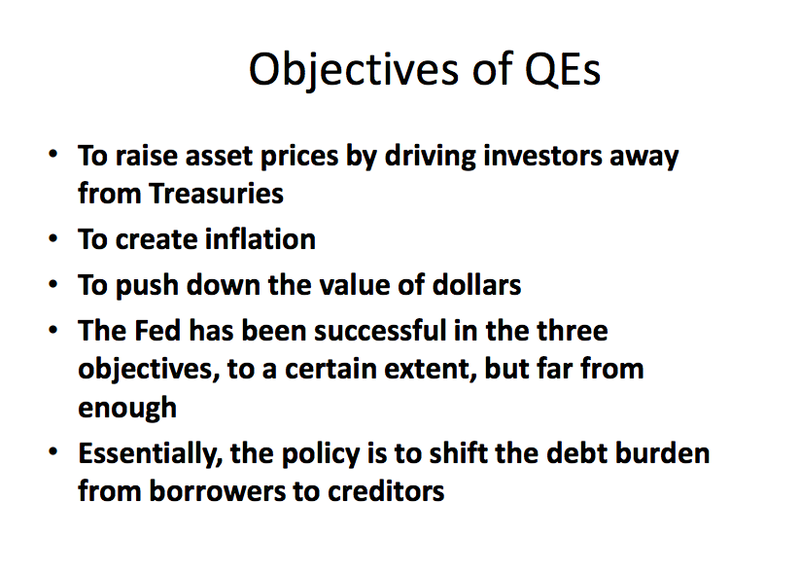 The real money of course comes from wealth preservers, whether they are central banks or wealthy individuals. There are other indicators as well. The Hulbert Sentiment looks at all the newsletters in America and is very effective, but my favourite of all is internet hits. This is a graph from the kitco.com website measured by Alexa, showing the number of hits on their website. 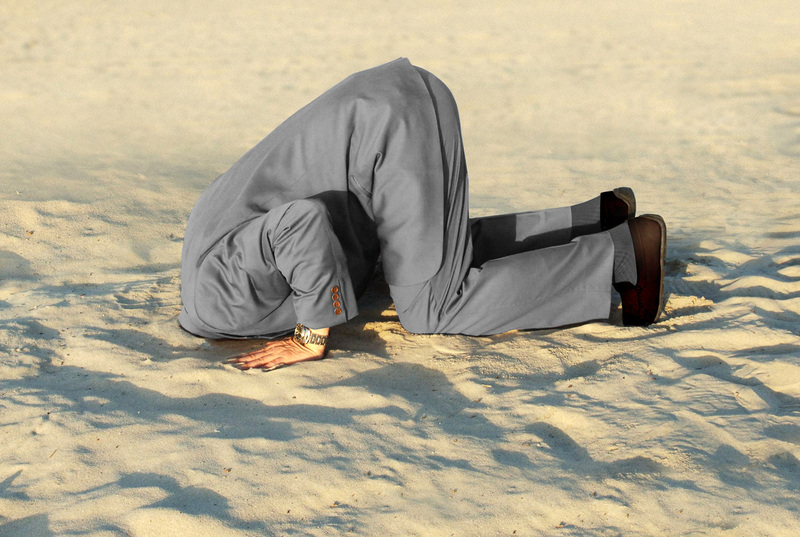 The general public is getting very excited about the gold market when there are highs and they could not care when it is low. Every single one of these highs exactly coincides with a high in the gold price, so I think sentiment is a very important factor to include in the tactical allocation. Thank you, Philip. 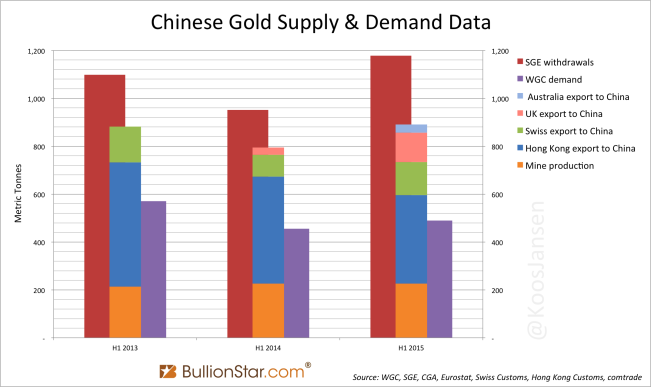 As many of you may already know, China is the fastest growing market for gold jewellery. But do you know the answers to these two questions: Firstly, what is behind this rise in demand? Secondly, what are customers buying? 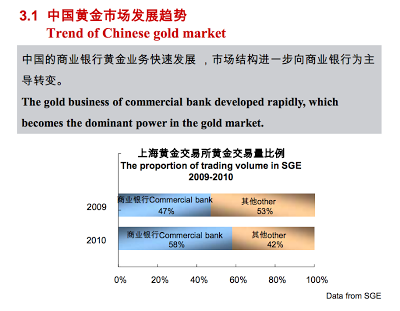 Well, as the jeweller with the largest market share in China, we actually have some very interesting insight to share. We can see that 2 consumers are gradually changing their buying behaviour, and the jewellery industry is changing with them. I think most of you know that Chinese people like to buy pure gold jewellery. Mainland China’s GDP increased 7.7% year-onyear in the last three quarters with retail sales of consumer products increasing by over 14%. Chinese people have more spending power and they are buying more jewellery, including pure gold jewellery. In fact, there’s a very long tradition, dating back to the Xia dynasty, which was the first dynasty in China about 4,000 years ago, that gold jewellery gifts should be part of a bride’s dowry. There is also an age-old tradition of giving jewellery gifts at weddings, births, Chinese holidays, birthdays and anniversaries. 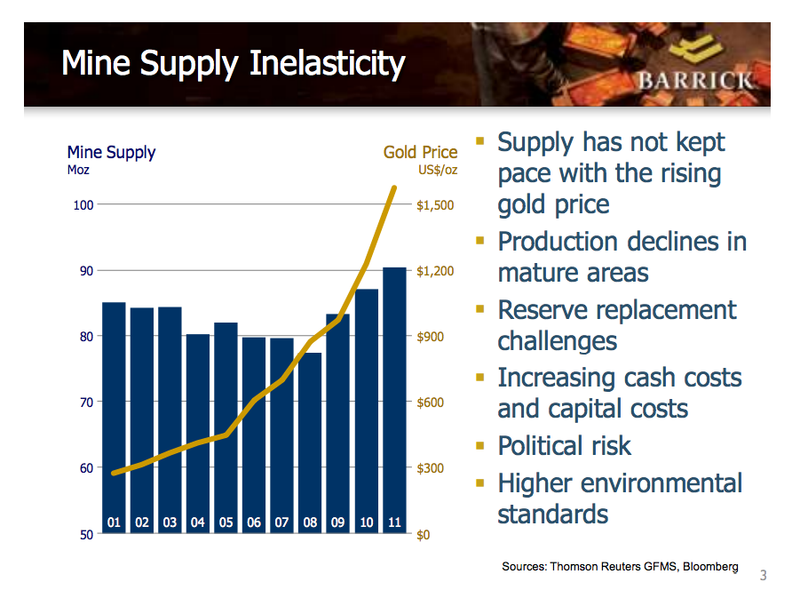 [PAUSE] We have some Westerners in today’s audience, but you do not buy the same kind of gold we Chinese buy, right? You like to buy 14 karat or 18 karat gold jewellery, because it is harder and more durable. In China and India, people traditionally prefer pure, 24 karat gold jewellery or “足金” (Zu Jin) in Chinese, mostly because the high purity of gold is more valuable and a better investment. We could generalise by saying that Westerners buy gold jewellery for decoration, but Asians buy it for both decoration and as an investment. Great publicity for the CGSE, I bet Haywood and friends made even more friends. Busy times, in that same month they also held the first Annual CGSE International (Silver) Conference. 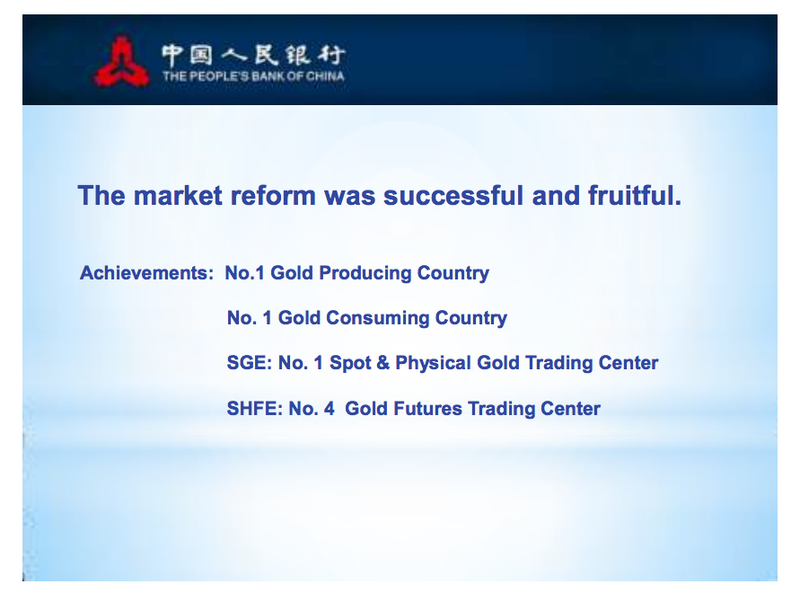 On the Chinese Gold and Silver Exchange they have open outcry trading and electronic. – 99 Tael Gold Contract, 100 Tael (3.743 Kg) in HK$. Fineness 99. 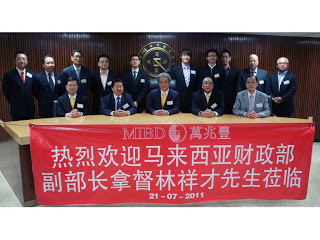 – HKD Kilo Gold Contract, 5 Kg in HK$. Fineness 999.9. – 100 Ounce Loco London Gold Contract, 100 ounce in US$. Fineness 995 or up. – 10 Ounce Loco London Gold Contract, 10 ounce in US$. Fineness 995 or up. – 5000 Ounce Loco London Silver Contract, 5000 ounce in US$. Fineness 9999 or up. – 500 Ounce Loco London Silver Contract, 5000 ounce in US$. Fineness 9999 or up. – Loco Hong Kong Silver Contract, 15 KG in HK$, Fineness 9999 or up. – Renminbi Gold Kilobar Contract, 1 Kg in RMB. Fineness 9999 or up. – 999.9 Tael Gold Contract, 100 Tael (3.743 Kg) in HK$. Fineness 9999 or up. 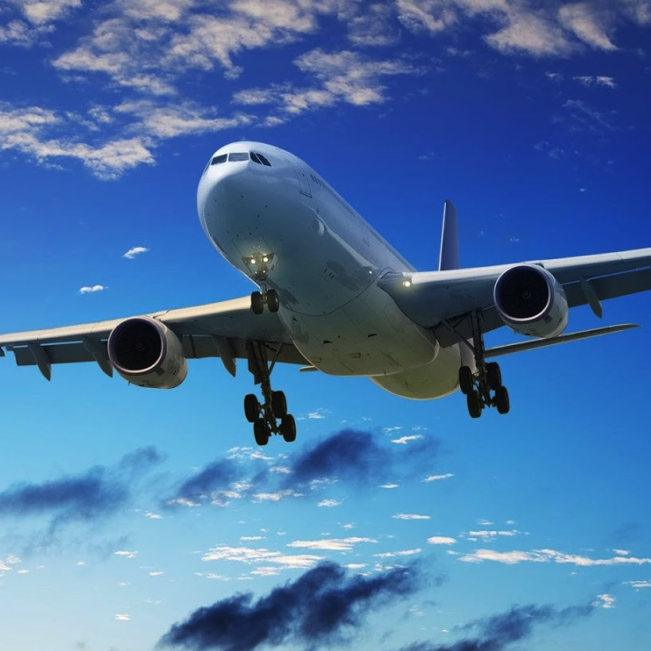 Our Exchange (CGSE) will set up gold and silver vaults at the Hong Kong International Airport and VIAMAT, a professional warehousing and logistics company. 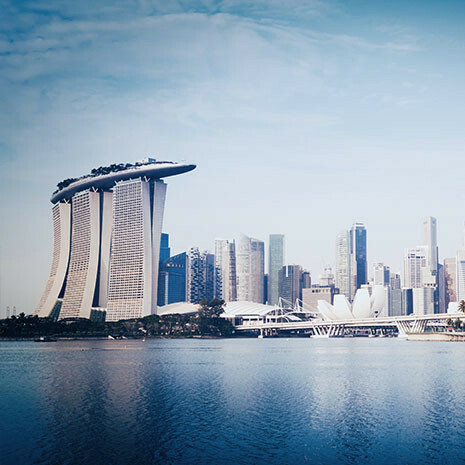 CGSE gained widespread support and recognition from international and local silver merchants after hosting a large scale international silver conference in Hong Kong in November last year. In addition to a trading platform for spot silver, CGSE also has well-established mechanisms for Loco Hong Kong Silver in respect of trade settlement, physical delivery and settlement for international liquidity, which are comparable to the operation model of Loco London Gold. CGSE’s Loco Hong Kong Silver’s is the only spot silver trading platform in the entire Asian region which combines these four key functions. 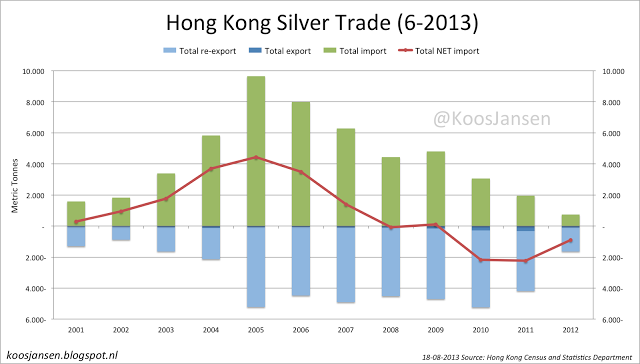 I believe that Loco Hong Kong Silver will establish its right of silver fixing in Asian trading session in the foreseeable future. I believe Renminbi Gold Kilobar, which is the world’s first offshore renminbi-denominated gold contract, can truly help promote the internationalization of the renminbi, and attract overseas and local gold dealers to engage in arbitrage activities to capitalize on price spreads. In addition, this product offers investors a new-found opportunity to participate in leveraged trading of renminbi. The first batch of Renminbi Kilobar Gold dealing participants (AA grade) are 27 CGSE Members. Institutional investors and retail investors may engage in trading of Renminbi Kilobar Gold by opening an account with CGSE’s AA grade Members. 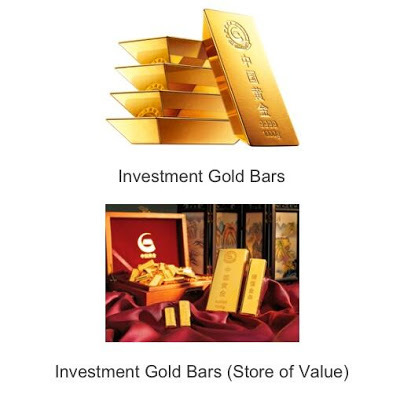 To effectively mitigate the price risks, they can choose the method of final settlement for their trades either through Renminbi-denominated gold contract or spot gold delivery. If China wants to preserve a lead role on the world stage of economics, they have to free their currency. At this moment capital control restricts the flow of Renminbi in and out of China. Little by little the PBOC breaks down the wall by allowing some trade in RMB and making swap deals with other central banks (currently 30). 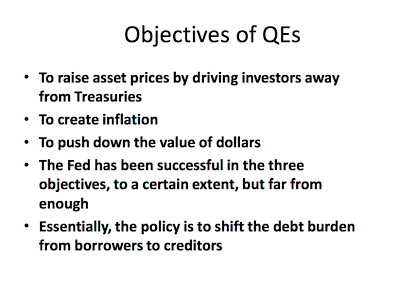 They also know that in order to have a stable and sustainable currency they should hold adequate gold reserves to support their currency, something they’re quietly working on (not very likely through the CGSE). Their latest heads up was in 2009 and stated they own 1054t, which they at least should have doubled by now. Another confession is expected before 2015. 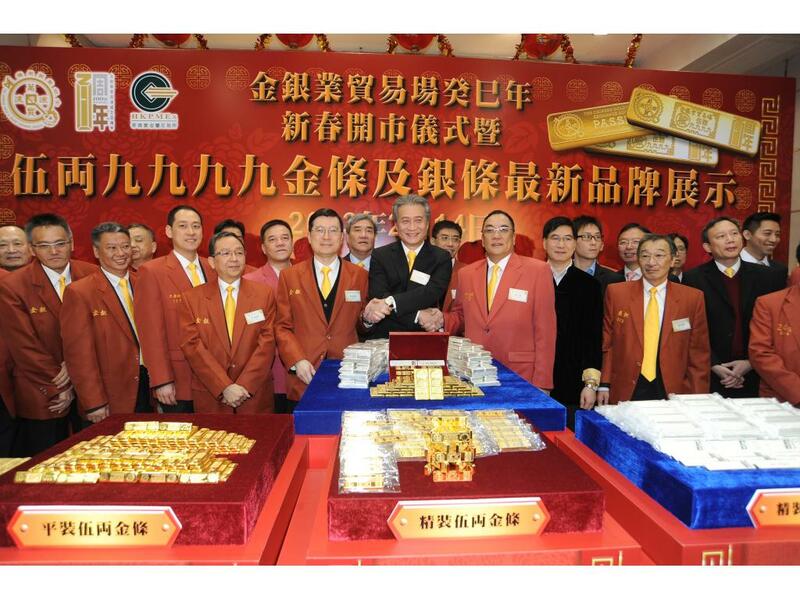 In the meantime other small steps are being taken to mature the RMB through gold, like the launch of the “Renminbi Gold Kilobar Contract”.